One of the biggest expenses in building and operating a Private Blog Network is the domain name registrations. Those monthly domain name renewal bills add up quickly, so it’s important to find the registrars with the cheapest domain name registrations and renewals to include in the mix of registrars that you have your domains with. This is why we’ve prepared this guide for you, to help you find the best value registrars for your domains. NameSilo often comes out the best value for money for most of the TLDs that they support, especially when you factor in their Free Whois Privacy and great value on renewal of domains as well – apart from promotional prices, NameSilo’s registration and renewal prices are the same, so you’re never shocked with “bait and switch”pricing. They’ve recently passed the 1 million domains mark, which puts them in the top 30 domain registrars in the world by volume. Regardless of the size of your domain portfolio, it could be worthwhile joining their “Domain Discount Program”. By preloading your account with funds, you’re able to purchase all of your domains at a discount, and that discount increases as the size of your portfolio with NameSilo grows – ie over 100 domains, over 500 domains. Plus, as an extra bonus, they often run further discounts on domain registrations including .com domains, bringing them below the wholesale cost of $8.03 per year and providing amazing value if you do buy domains during those promotions. You can also save $1 on your first domain registration using coupon code BBH when you register your first domain with NameSilo. With roughly 1.45 million domains under management, Uniregistry are closing in on being one of the top 20 registries in the world. 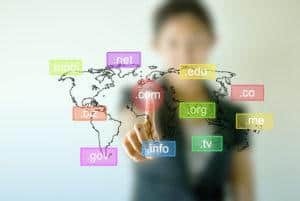 They have some great value deals on domain transfers for .com/.net/.org domains, although are slightly more expensive than some of the other registrars, although not the most expensive on this list when it comes to renewal but still great value when you consider that they include Free Whois Privacy as part of their offering. They do good value registration and renewals for .com domains, but aren’t price competitive on .net or .org domain names. Uniregistry have a much larger range of TLDs including many country code TLDs that you can register through them, making them a great place to park a percentage of your domain portfolio. Having been around since 2001, Namecheap are probably the oldest registrar on our list. They started out using a reseller account from Enom, and have grown into becoming their own fully accredited ICANN registrar. During 2017, they began moving all of their domains off of Enom’s credentials and onto their own. Between the domain names that are registered directly with Namecheap’s ICANN credentials and those registered through Enom, they have about 8.5 million domains under management. Based on stats from October 2017 that were available from RegistrarOwl at the time of writing this, only 4.5 million domains are under their credentials at the moment placing them as the 10th largest registrar, but once they are all moved, they should become the third largest registrar, behind Tucows which you can register through Hover or OpenSRS resellers and GoDaddy who have a whopping 56.5 million domains under management. Namecheap offers reasonably good value for money on domain registrations if you hunt down the monthly coupon codes on their web site, or once you have over 50 domains in your account, you can reach out to their support team and get placed on their “Gold” pricing tier which is slightly cheaper than the coupon pricing, and includes 99c renewals for their WhoisGuard Whois Privacy service. Even once you achieve that tier though, their overall prices are about on par with Uniregistry for .com registrations and renewals, although much better value on .net and .org registrations and renewals. If you want to see the latest up-to-date prices for any registrar including promotions and sales that they may be running and compare prices across all TLDs rather than just the most popular few that we’ve listed here, then I’d suggest checking out Domcomp. It’s a great resource and is updated daily with the latest prices pulled direct from the registrars.